Although the editorship of The Muscovite was a short-lived career for Ivan, his relationship, assistance, financial aid and contribution to the publication of works that would spring out of his relationship with Optina Monastery began with the article on Blessed Elder Paisius. In the following year, 1846, while the Elder was visiting the Kireyevskys at their estate, he touched upon the question of the lack of spiritual books which guide one towards the active Christian life. He mentioned that he had a fair number of manuscripts of Elder Paisius’ translations of the works of the ascetic Holy Fathers, filled with spiritual understanding and power. It turned out that Natalia Petrovna Kireyevsky had preserved a few similar manuscripts as well, having received them as an inheritance from her former spiritual father, Elder Philaret of Novospassky. Then she herself raised the question – why not reveal these spiritual treasures to the world? The Elder, with his characteristic humility, remarked that he considered himself incapable of taking on such an important matter, that he had never done anything like this, that this was clearly not the will of God, etc. The Kireyevskys said that they would give a report about the matter to Metropolitan Philaret of Moscow and, if he blessed it, it would be necessary to begin printing the manuscripts. Then the Kireyevskys began to implore Fr. Makary to immediately write an introduction to the planned publication. Fr. Sergius further describes the environment and interactions that permeated such a holy activity for the next fifteen years. Alongside these publishing labors, Ivan wrote two more papers which revealed the maturation of his ideas that were expressed only in part in his earlier works. In 1852 he wrote, “On the Character of European Enlightenment and its Relation to Enlightenment in Russia.” The second work was entitled, “On the Necessity and Possibility of New Principles in Philosophy” but was published posthumously in the year of his repose, 1856. In these works he describes the deviation of the Patriarchate of Rome from the teaching of the Fathers of the first thousand years. In the briefest of summaries it can be said that the root of the problem in the Roman Church that was passed to the entire West was that of rationalism. I have no intention of writing a satire against the west. No one values more than I the conveniences of public and private life which are a result of rationalism. To speak frankly, even now I still love the west… I belong to it by education, by habit, by taste… by my disputatious turn of mind, and even by the habits of my heart. I want to travel to Europe… And yet I know that I am only going to a graveyard; but it is a most precious graveyard, that is what it is! Gleason’s final analysis of Kireyevsky and his last years is quite bleak. His conclusions of failure, despair and an overall pathetic life stems more from Ivan’s inability, in Gleason’s mind, which can be partly justified, to produce a magisterial philosophy that develops his ideas in more detail with application to the common man. It is unfortunate that Gleason’s valuable work shows no awareness of Orthodox life and spirituality or an understanding of the monastic life or elders. This lack clearly hinders him from understanding Kireyevsky, especially in the later part of his life. Others, misunderstanding the Orthodox life, evaluate Ivan’s life and works in a less than complimentary if not erroneous way. The following paragraphs will explain a few of these misunderstandings but also how it is that Ivan is living within the Tradition of the Church. We will see that Ivan is a “mystic” insofar as all of the theology of the Orthodox Church is “mystical theology,” born out of the ascetical life not logical deductions.14 Ivan explains the ascetical life as being “pre-conditions” for knowledge of God. He does not develop an entire philosophic system, instead his emphasis focuses on the unity of the faculties within man. We can see the beginning of this in 1836 when he is reading Sts. Isaac the Syrian and Maximus the Confessor. This also sheds more light on his “conversion experience” as being an experience with lasting effects that continued to inspire the rest of his life. Herein we can also trace the maturation of his thought and how he focuses his writings on the pre-conditions of the individual knowing the truth and the importance of the integration of all the faculties of man and not only his reason. To clarify the term “mystic” we should look at Henry Lanz’s work. He correctly sees the germination of Ivan’s thought not as being a product of German idealism,16 romanticism or any type of mysticism. Instead, he rightly says, “It is simply and solely a modern continuation of a religious tradition which has been dominating Russian life since the time of St. Vladimir, and which was temporarily driven into the underworld by the violent reforms of Peter the Great and his successors.”17 Therefore, Ivan is not saying something new. Instead, it is as old as Russia herself. Ivan did not, as many of his critics note, produce that masterful, all-pervading philosophy by which society could function and from which Russian social thought could rise to new levels. Instead, as he came to focus his work more and more, it grew to be an expansion only of a foundation by which people can begin to think and function from. Gleason describes this letter as an example of Kireyevsky’s “basic uncertainty” with the “intimate sense” and “methodology” of the Church Fathers.25 To the contrary, we find that this is clearly no wavering when it comes to someone asking advice on reading the Fathers of the Church. As he already notes, Kireyevsky expresses the danger that he was in being caught up in reaching too high and grasping for things he was not able to understand. This is why he says that there are certain Fathers that can only be read by those who have been “tried and perfected” because we are not talking about reading something that is commonplace. Before thine eyes, a new sun dawn. 1 (Chetverikov), Fr. Sergius. Elder Ambrose of Optina. (Platina: St. Herman of Alaska Brotherhood, 1997), 126-127. Fr. Leonid Kavelin notes that often Elder Makary would work on these patristic publications at the home that was prepared for him on the Dolbino estate; see Ivan M. Kontzevitch, “The Life of Elder Macarius’ Disciple, Ivan V. Kireyevksy”; also in Elder Macarius of Optina. (Platina: St. Herman of Alaska Brotherhood, 1995), 113 note. 2 For a list of works published at Optina, see “An Annotated Bibliography of Optina Publications” in Leonard J. Stanton’s, The Optina Pustyn Monastery in the Russian Literary Imagination: Iconic Vision in Works by Dostoevsky, Gogol, Tolstoy and Others. (New York: Peter Lang, 1995), 273. 3 Later Archbishop of Lithuania and Vilnius. 4 Later the Superior of the Holy Trinity-St. Sergius Lavra and author of the biography Elder Macarius of Optina which was translated into English. 5 The confessor of Elder Ambrose and of the pilgrims to Optina. 6 Elder Ambrose of Optina, 127-130. For a brief description of the scarcity of Orthodox Patristic material at the time and the difficulty it took to have works published, see I.M. Kontzevitch, “The Acquisition of the Holy Spirit in Ancient Russia. (Platina: St. Herman of Alaska Brotherhood, 1988), 273-274. 7 “The Life of Elder Macarius’ Disciple, Ivan V. Kireyevsky,” 299-300. 8 Kireyevsky, Ivan. “On the Nature of European Culture and its Relationship to Russian Culture; Letter to Count E.E. Komarovsky” quoted in Boris Jakim and Robert Bird, trans. and eds. On Spiritual Unity: A Slavophile Reader (Hudson: Lindisfarne Books, 1998), 202-203. 9 Christensen, Fr. Damascene. 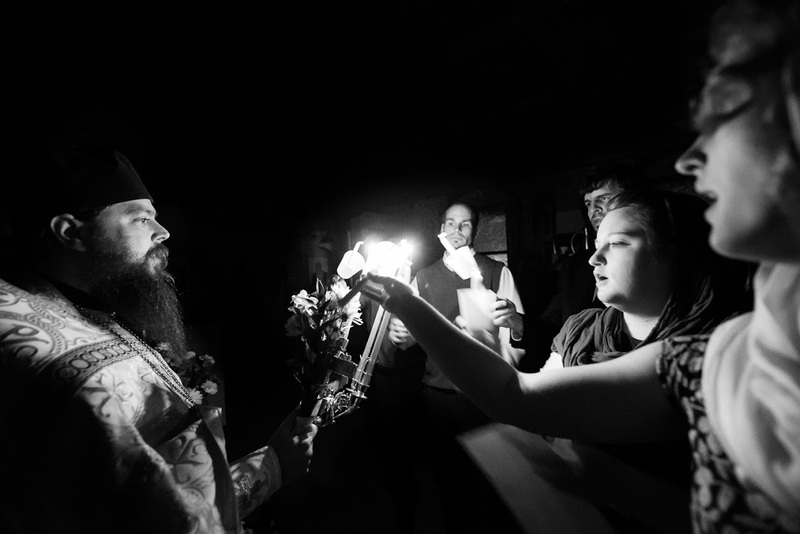 Father Seraphim Rose: His Life and Works. (Platina: St. Herman of Alaska Brotherhood, 2003), 622. 10 Young, Fr. Alexey. A Man is His Faith: Ivan Kireyevsky and Orthodox Christianity. (St. George Information Services: Norwich, 1980), 32-33. 11 From Kireyevsky’s Collected Works as quoted in European and Muscovite, 255. 12 On Spiritual Unity, 285. 13 Gleason, Abbott. European and Muscovite: Ivan Kireevsky and the Origins of Slavophilism. (Cambridge: Harvard University Press, 1972), 293-294. 14 “Mystic” is this context is being used to accommodate an author that is describing what Ivan writes about. The Orthodox generally do not use the term “mystic” which is more of a Catholic and Far Eastern derivation. See note #17 regarding mysticism. 15 “Mysticism and Knowledge in the Philosophical Thought of Ivan Kireevsky” in Mystics Quarterly (vol. 30, no.1/2, 2004): 26. Gleason agrees with this point but adds that Kireyevsky’s emphasis on “the collective and the communal” which Gleason denies are part of the Orthodox tradition but are instead more closely related to German counterrevolutionary and anti-rationalist ideologies; see European and Muscovite, 283-284. 16 Which Lanz notes about Slavophilism generally; see Henry Lanz, “The Philosophy of Ivan Kireyevsky” in The Slavonic Review. (vol. 4, no. 12, 1926): 594. 17 Ibid., 604. In short, these “pre-conditions” are the ascetical life. This is also the explanation that Vladimir Lossky’s gives regarding “mystical theology”; see Lossky, Vladimir. The Mystical Theology of the Eastern Church. (Crestwood: St. Vladimir’s Seminary Press, 1998), 7. Regarding Ivan’s understanding of the relationship between thought and the ascetical life see “The Acquisition of the Holy Spirit in Ancient Russia, 279-283. 18 Georges Florovsky, Ways of Russian Theology: Part II. (Belmont: Buchervertriebsanstalt, 1987), 25. 19 M.C. Chapman. “The Role of Religious Belief and Astheticism in the Philosophy of Ivan Kireyevsky” in New Zealand Slavonic Journal. (vol. 1, 1978): 37-38. See also Edie, James M. et al. Russian Philosophy: The Beginnings of Russian Philosophy – The Slavophiles – The Westernizers. (Knoxville: The University of Tennessee Press, 1976), 1:169. 21 European and Muscovite, 338, note #36. 22 Cited in On Spiritual Unity; A Slavophile Reader, 19. 23 See Elder Ambrose of Optina, 125-126. 24 European and Muscovite, 246. 26 From Ivan Kontzevitch and quoted by Fr. Alexey Young in A Man is His Faith, 17. Although seemingly unknown to Gleason, points such as this are strewn throughout the Fathers and we can say that they were known by Kireyevsky at least through the translation of St. Paisius Velichkovsky’s. See St. Paisius’ Letters in Blessed Paisius Velichkovsky: The Life and Ascetic Labors of Our Father, Elder Paisius, Archimandrite of the Holy Moldavian Monasteries of Niamets and Sekoul. Optina Version. By Schema-monk Metrophanes, trans. Saint Herman of Alaska Brotherhood. (Platina: Saint Herman of Alaska Brotherhood, 1976), 130-152. 27 Gleason lists and gives the dates of these publications as: The Life and Works of the Moldavian Starets Paisii Velichkovskii (1st ed. 1847, 2nd ed. 1848); Gleanings for Spiritual Refreshment (translations from the Fathers by Paisy Velichkovsky, 1849); Nil Sorsky, Conferences on Monastic Life (1849); Barsanuphios and John, Introduction to the Spiritual Life (1851); Twelve Sermons of Simeon the New Theologian (1852); Isaac the Syrian, Spiritual-Ascetic Sermons (1854); Abbot Dorotheos, Instructions and Letters (1856); Mark the Anchorite, Moral-Ascetic Sermons (1858); The Ladder of St. John Climacus, in several editions. (ibid. note 8, p. 337); see also Elder Ambrose of Optina, 130-133. Most of these works were financed by the Kireyevsky’s themselves; see The Acquisition of the Holy Spirit in Ancient Russia,” 273-274. 28 “The Life of Elder Macarius’ Disciple, Ivan V. Kireyevksy”, 306. 29 Quoted in Ibid., 302. 30 After the Elder’s repose, Natalia labored to collect all his letters and, using her own money published six thick volumes. “In order to gather them she visited many monasteries and convents – there is evidence that she visited about two hundred women’s convents alone!” Elder Macarius of Optina, 287. 31 Ibid., 304. 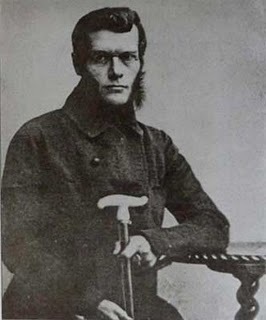 Gleason is silent as to the value of Kireyevsky being the first layperson buried at Optina Monastery. Ivan’s brother, Peter, who reposed in the following year, is buried beside him as well as his wife, Natalia. Four years later, Elder Macarius would be buried besides Elder Leonid, at whose feet Ivan was buried. 32 Elder Ambrose of Optina, 65. 33 “The Life of Elder Macarius’ Disciple, Ivan V. Kireyevksy”, 143.